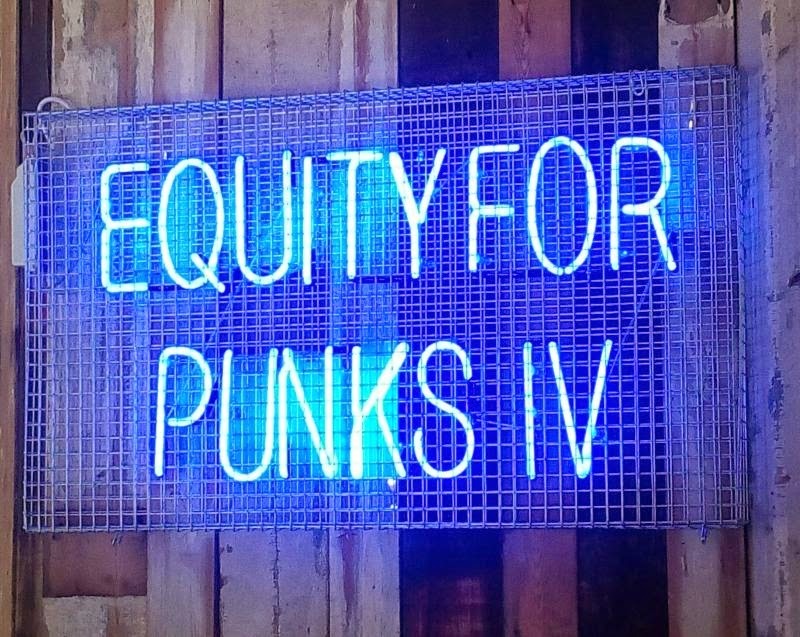 With BrewDog's trademark hyperbole it was trailed as “something f**king spectacular”, but to many people the news that the Scottish Brewery has kicked off a fourth round of its Equity for Punks crowd-funding scheme will look more like evolution than revolution. What's different though is the scale and ambition: the company is this time aiming to raise £25 million, more than five times what it raised in its last investment round – and way more than the £2.5 million that Camden Town Brewery raised in its recent crowd-funding campaign. It may even be the biggest independent crowd-funding scheme in the world. And by crowd-funding it circumvents the restrictions it fears would come with venture capital or a stockmarket listing. “It's so we can continue making beer that's stupidly expensive to make, so we can continue making beer that's hopped to hell,” said co-founder James Watt at the project's launch in BrewDog Shepherds Bush, to cheers from existing EFP investors. Some of the investment will go to expand brewing capacity. Work is about to begin on a £3 million brewery that will quadruple production volumes, and BrewDog has identified the site it wants for its US brewery, in Columbus, Ohio. Then there is the sour beer project. At the moment, all the beers go through Ellon, either the main brewery or the 10hl pilot brewery that replaced the old Fraserburgh site (they kept the latter open for a while after opening Ellon in order to have somewhere to do small-batch beers. It proved too awkward working on two sites though, so it was replaced by a new pilot plant at Ellon). Clearly it's not ideal having sours and non-sours sharing a brewkit, so the answer is a new sour beer facility with its own brewkit. And new BrewDog bars are on the way, both in the UK (including a new flagship in London's Soho and a mega-bar/restaurant in Glasgow) and abroad. There's almost 30 already, with a dozen or so more on the way. As to the latter, if you look at the company's map, there's bars in northern Europe and in Spain and Italy, but nothing in between, and that will change. Among those due to open later this year are BrewDog Brussels and BrewDog Berlin – the latter has been rumoured locally for some time now, but the story was that they were having difficulty finding a suitable site. They've found a site (Ackerstrasse 28, in Mitte) so it's now a licensing issue. The company also would like to open a craft beer hotel in Ellon, not least to service the many visitors to the brewery. I'm not convinced James will get his semi-serious wish of having Punk IPA on tap in every bedroom, but you never know. On the surface, the shares look like a good bet. Brewdog claims to be Britain’s fastest-growing food and drinks brand, opening 27 bars worldwide since 2010, exporting to 55 countries and employing more than 360 staff, which is about 358 more than in 2007. It just announced its sixth consecutive year of record growth, having increased its annual turnover by 64% to over £29.6 million in 2014, compared with £18 million in 2013. It expects turnover to exceed £50 million this year. But to many Punk investors, all that misses the point. They believe in the company, they wear BrewDog shirts and hats, they cheer at meetings when James and Martin speak, and of course they enjoy its beer – as well they should, because despite (or perhaps because of) all that expansion, it remains excellent. At the Equity for Punks IV launch, we were offered what co-founder Martin Dickie called a “deconstructed Whisky Sour cocktail”. He explained that it started as a lactic-soured barley wine, “so it's massively sour, a tiny batch, brewed with a good bit of crystal malt for that marshmallow sweetness.” It was then laced with lemon juice, lime juice, vanilla pods and “a tiny bit of cinnamon” before being aged on toasted oak chips. 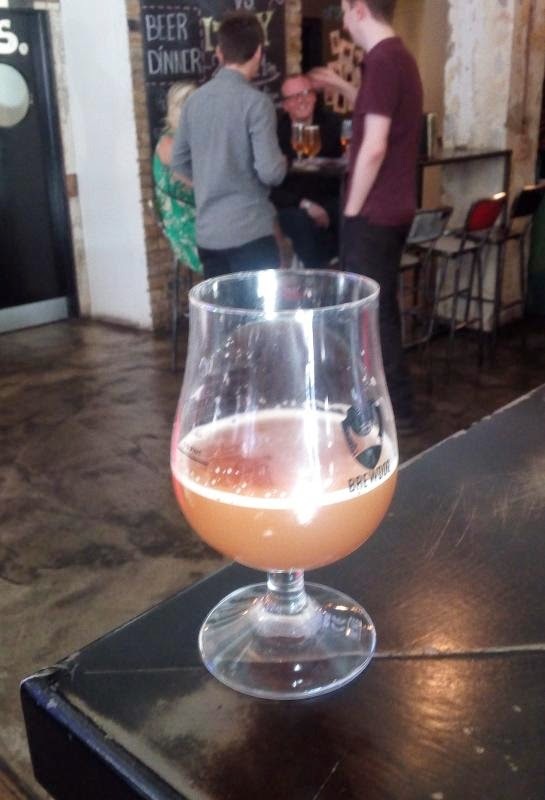 The murky amber-coloured result was bizarre yet delicious – sour and tart, but with hints of wine and oaky vanilla. Also excellent at the launch were BrewDog's seasonal Alice Porter, a version of its Paradox Imperial Stout aged in Compass Box whisky barrels which came out at 15%, and Shipwrecker Circus, a barley wine brewed in collaboration with US brewer Oskar Blues. The regular beers remain good too, such as 5am, Jack Hammer, and of course Punk IPA. You see the latter all over the place now, but that hasn't stopped it being a fine beer. So where next for BrewDog's beers? More variety for sure – James noted that one advantage of EFP and craft beer's growth in general is that “it's easier to sell new small [product] lines, because the audience is already there.” And he dangled a tantalising hint that the company might even consider a return to the cask ale market that it loudly abandoned several years ago, now that craft cask is fashionable again. As he mused, “When we stopped doing cask, the beer market was very different from today.” Interesting times indeed.